EUR/USD has entered a consolidation range. Today, the price may fall to 1.1633. If the price goes up, the rise towards 1.1800 may follow. After that, the pair is likely to head down again, reaching 1.1570. 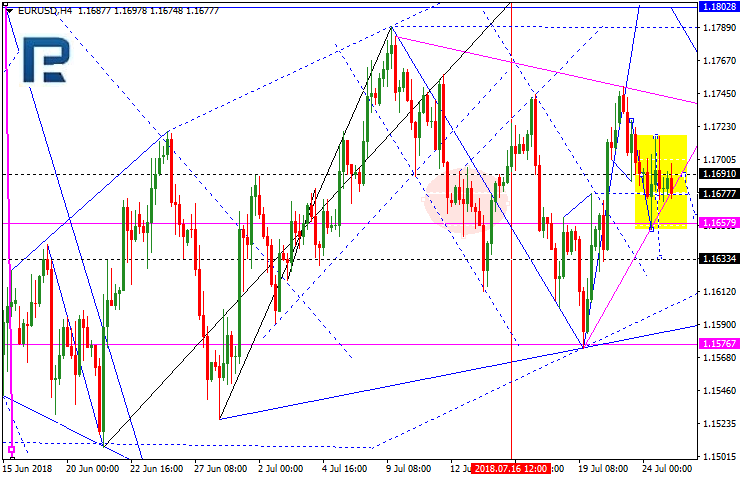 GBP/USD has entered a consolidation range. If the price goes down, the trend may continue, with the price going to 1.2888. 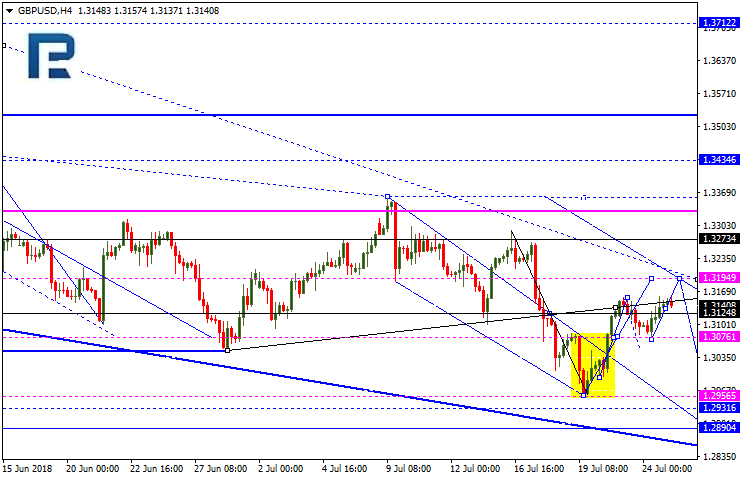 If the price goes up, the rise towards 1.3195 may follow. After this the downtrend may be expected. USDCHF continues to rise.Today, the rise to 0.9980 may be expected with the subsequent fall to 0.9950, which will form a consolidation range.In case of a rise, the main possible scenario is the continuous uptrend to 1.020. In case of a fall we cannot exclude the price to reach 0.9880. 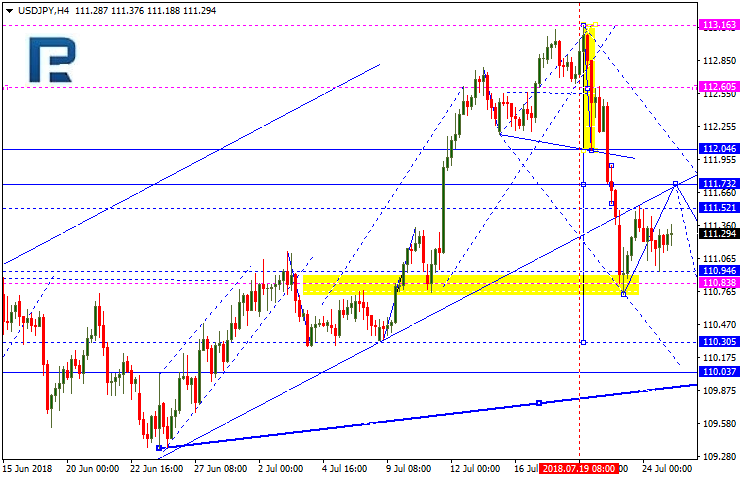 USDJPY has entered a consolidation range. If the price goes up, the correction towards 111.73 may follow If the price goes down, the downtrend may continue. The target is not at least at 110.30. 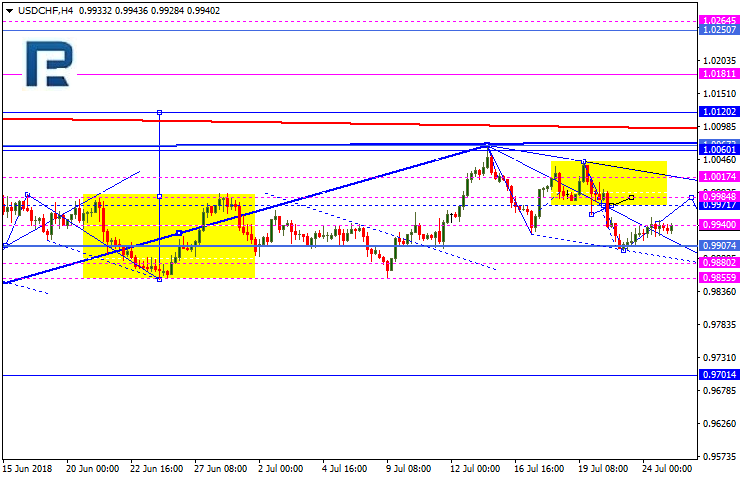 AUDUSD has entered a consolidation range. 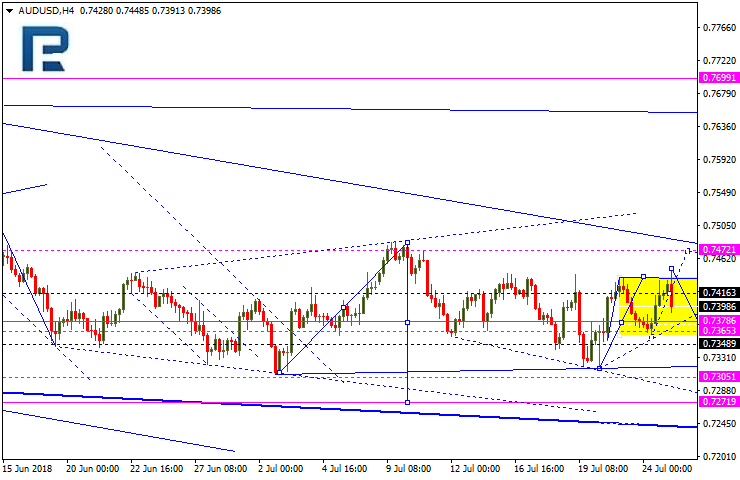 If the price goes down it may reach 0.7285. If the price goes up the continuous correction towards 0.7474 may follow. USDRUB price is falling to 62.42. Today the rise to 63.10 is possible, but later the price is likely to fall to 62.42. In practice we can expect the consolidation range to develop. 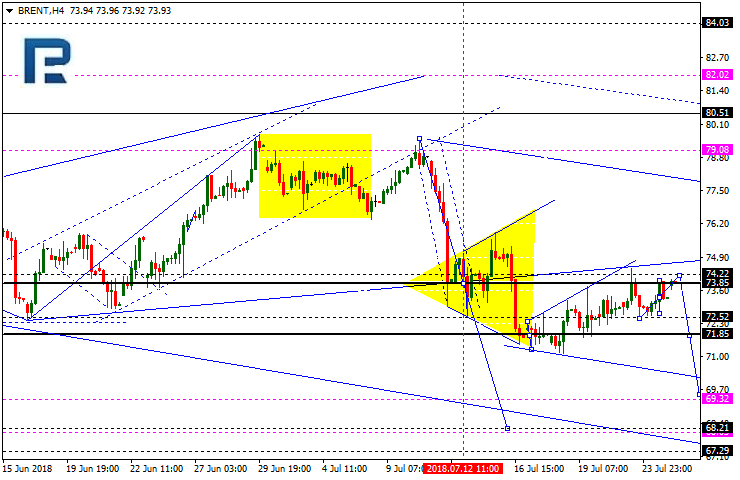 If the downtrend continues the price may go down to 61.00. In case of an uptrend, the rise to 63.77 is possible. After this the downtrend may be expected. Gold has entered a consolidation range.In case of a fall the price may reach 1,205. In case of a rise the price may reach 1,239. 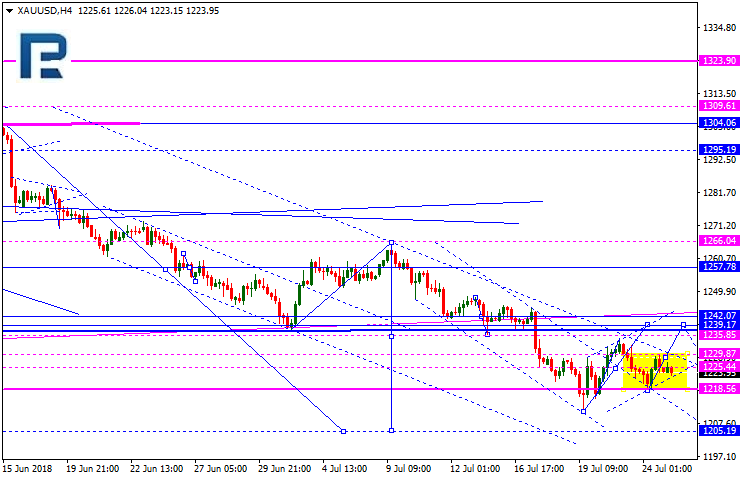 After that, if gold continues to head down, it may reach 1205. Brent continues to trade within a consolidation range. At the moment the price is rising towards 74.22. Later, it may fall to 71.85. 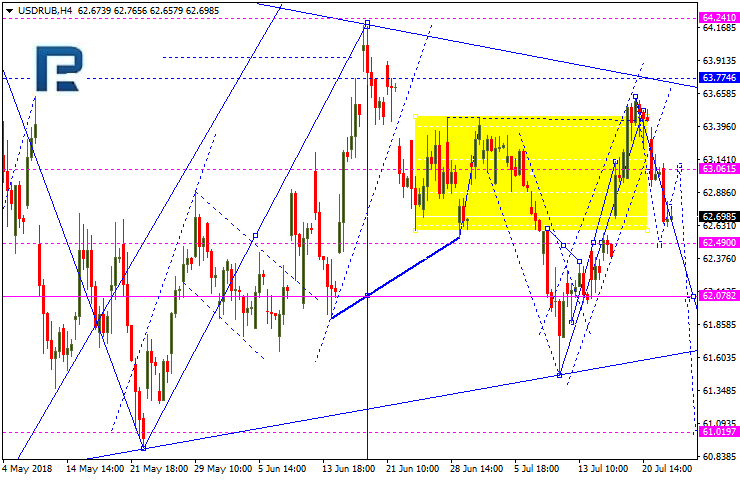 Аnd then, once a breakout occurs, the price is likely to go down to 69.33.